Edwards and SYMVIONICS Team (772nd Innovation Team) Creates Mobile Reconfigurable Cockpit - SYMVIONICS, Inc. In flight test, needs are everywhere — parts, scheduling, maintainers, computers, spectrum to transmit data, and more. The 412th Test Wing also voiced the need for innovation to improve the way things are done, not only now but for the future. At the 772nd Test Squadron a need was identified, and through some ingenuity and resourcefulness, the Portable Manned Interactive Cockpit was conceived. 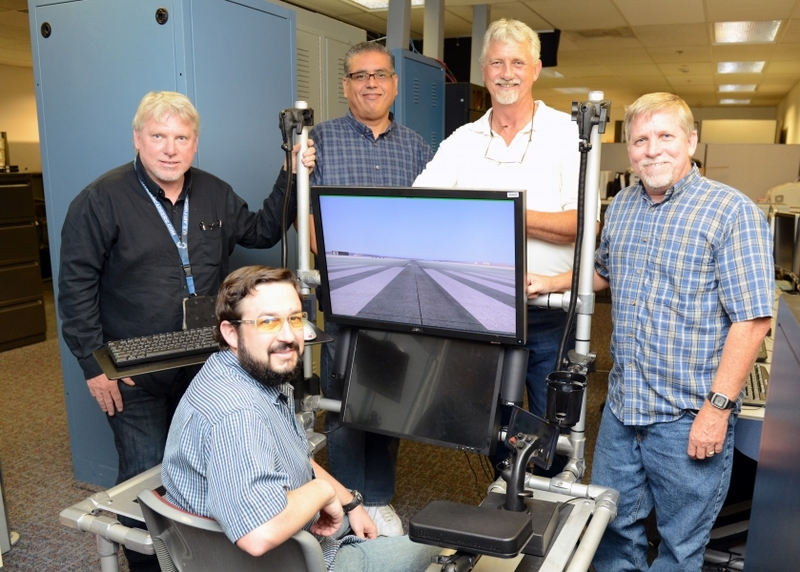 The PMIC was designed and is being built by a team at the squadron’s Integrated Facility for Avionics Systems Test. Westfall said getting time with the actual state-of-the-art simulators at the IFAST to do software development can be difficult given how often they’re used. The team pieced together a cockpit with a stick and throttle, and then monitors and computers gathered from around the IFAST. The makeshift cockpit fit their desired needs and turned out to be quite a success for the developers’ purposes; however, it wasn’t very mobile. With the success of the first cockpit, the 412th TW, which sets aside money for innovation projects, granted the 772nd TS funds to build the new, more mobile one. The new PMIC has a built-in seat that vibrates to simulate a real cockpit, and it has a built-in stick and throttle. The stick can be swapped out depending on the type of plane. The sim computers are installed in travel boxes for easier transport. 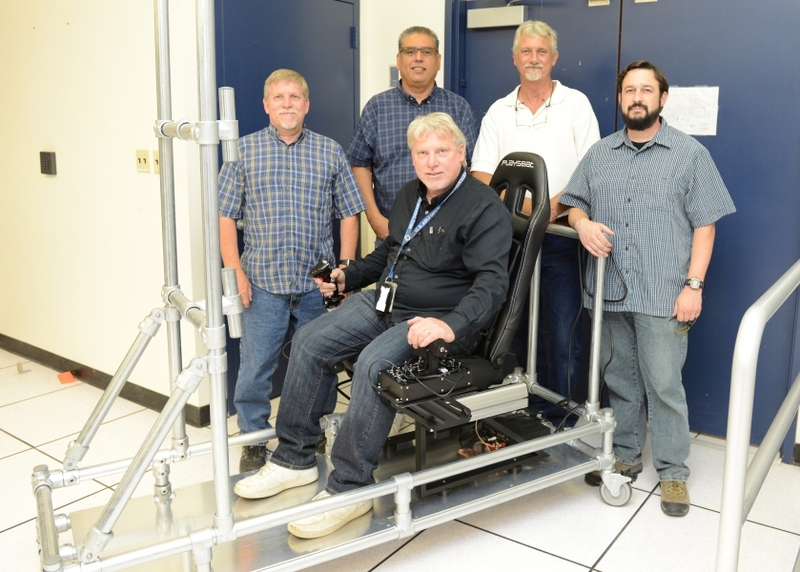 The PMIC team plan to use it with other simulators where it can join in on missions and also be used for pilot training. 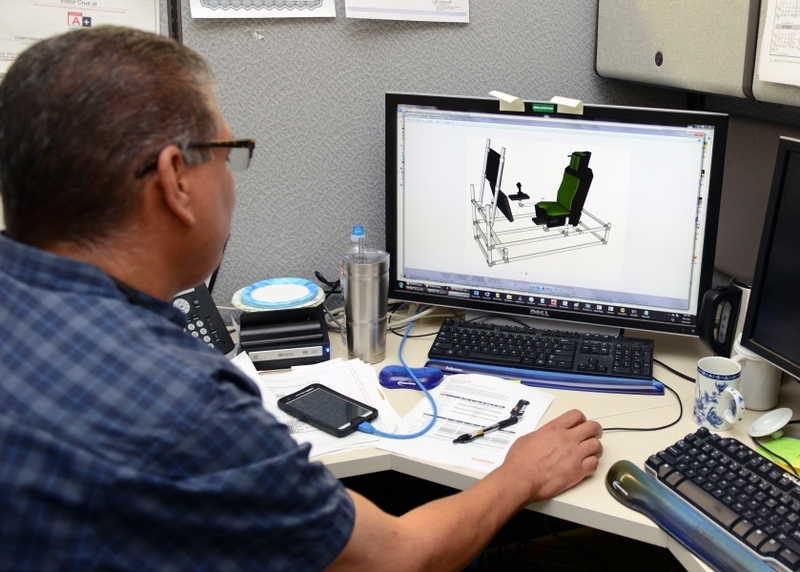 Another benefit is the flexibility of the PMIC to be configured to almost any aircraft type on Edwards Air Force Base. Regular simulators are only dedicated to one aircraft. The squadron also plans to take it out into the community for science, technology, engineering and mathematics events. The PMIC is expected to be completed and ready to use in July.